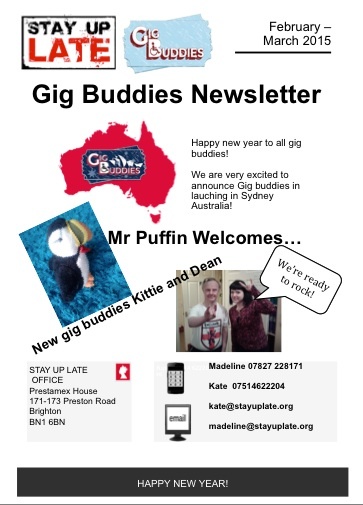 Our trip to launch Gig Buddies in Sydney, Australia! Gig listings for nights in Worthing and Eastbourne. A big hello to Kittie and Dean. And of course our big fundraising gig with Alice Russell, The Nextmen, Beat Express and POG.